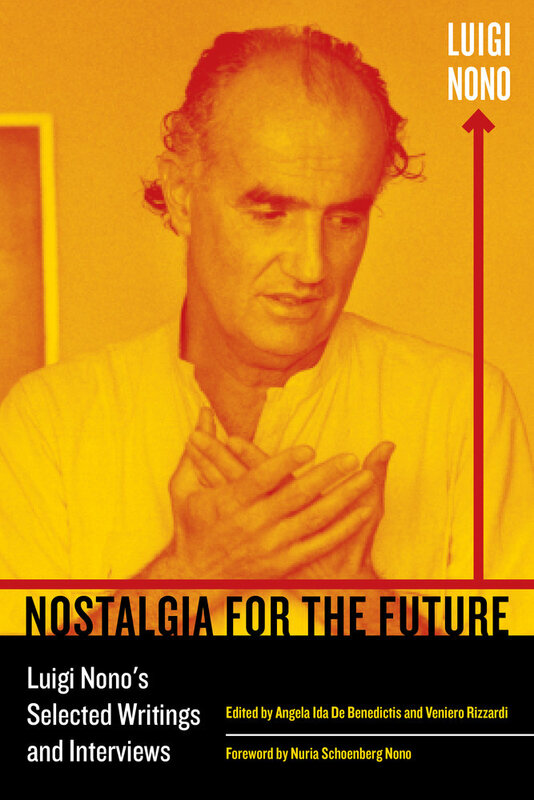 Nostalgia for the Future is the first collection in English of the writings and interviews of Luigi Nono (1924–1990). One of the most prominent figures in the development of new music after World War II, he is renowned for both his compositions and his utopian views. His many essays and lectures reveal an artist at the center of the analytical, theoretical, critical, and political debates of the time. This selection of Nono’s most significant essays, articles, and interviews covers his entire career (1948–1989), faithfully mirroring the interests, orientations, continuities, and fractures of a complex and unique personality. His writings illuminate his intensive involvements with theatre, painting, literature, politics, science, and even mysticism. Nono’s words make vividly evident his restless quest for the transformative possibilities of a radical musical experience, one that is at the same time profoundly engaged with its performers and spaces, its audiences, and its human and social motivations and ramifications. Italian avant-garde composer Luigi Nono (1924–1990) was part of the group of high modernists whose work dominated the post-war European music scene. Experimenting with sound and technology, Nono's compositions and writings frequently addressed the role of the arts in a progressive society. Angela Ida De Benedictis is Curator and Research Associate at the Paul Sacher Foundation (Basel). She is a member of the Scientific Committee of the Luigi Nono Archive and Scientific Director of the Centro Studi Luciano Berio. Veniero Rizzardi is Professor at the State Conservatory of Padua and Adjunct Professor at the Ca’ Foscari University in Venice. He is cofounder of the Luigi Nono Archive in Venice and also a curator of a new music series at the University of Padua. Both De Benedictis and Rizzardi have edited critical editions of music by Luigi Nono. PART TWO. MUSIC ONSTAGE: FROM A "THEATER OF IDEAS" TO THE "TRAGEDY OF LISTENING"
PART THREE. "CONSCIENCE, FEELINGS, COLLECTIVE REALITY"
PART FIVE. THE "POSSIBLE INFINITIES"